A portrait of the Bear River Massacre. It’s likely the deadliest Native American massacre in U.S. history. By the time it was over, as many as 500 people lay dead. Yet few even know its name today. This is the story of the Bear River Massacre. Following a storyline that had already played out countless times across America, relations between the whites and the Natives were friendly, if cautious at first. But when white settlers lured by gold and land began to encroach on Shoshone territory in earnest in the 1840s and 1850s, the relationship between the two groups became strained and then violent. It was during this era that the Mormons led by Brigham Young settled near the Shoshone and made their own claims upon the land. Although Young encouraged a policy of appeasement with the Shoshone, telling his followers it was better to “feed them than fight them,” the influx of people combined with the harsh Idaho winters soon made food in the territory scarce, which inevitably led to rising tensions. Hunger was quickly followed by fear and anger. The white settlers soon began to view the Shoshone as beggars while the Shoshone became understandably defensive and upset as their territory was taken away one piece at a time. In 1862, Shoshone Chief Bear Hunter decided it was time to strike back against the whites and began conducting raids on cattle herds and attacking bands of miners. 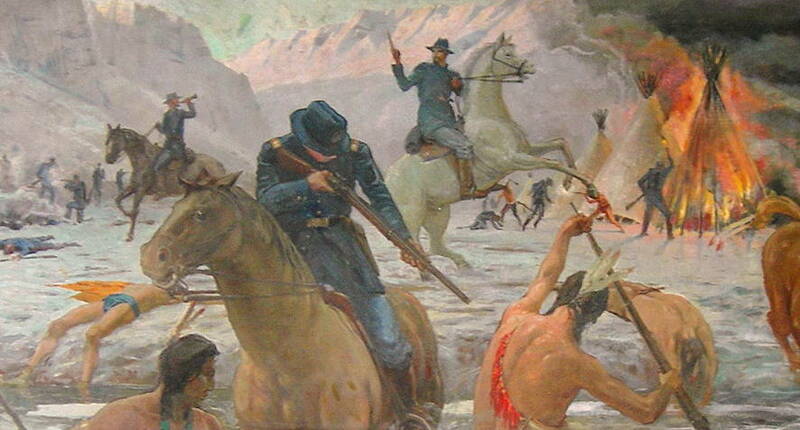 As skirmishes between the whites and Shoshone continued, the residents of Salt Lake City begged for help from the United States government, who responded by sending in Colonel Patrick Connor to “make clean work of the savages.” As the soldiers made their way towards the Shoshone’s winter encampment, there were reportedly a few warning signs of the bloodshed to come. One Shoshone elder by the name of Tindup supposedly dreamed that “he saw his people being killed by pony-soldiers” and warned them to fell in the night (those who heeded his warning are said to have survived the massacre). 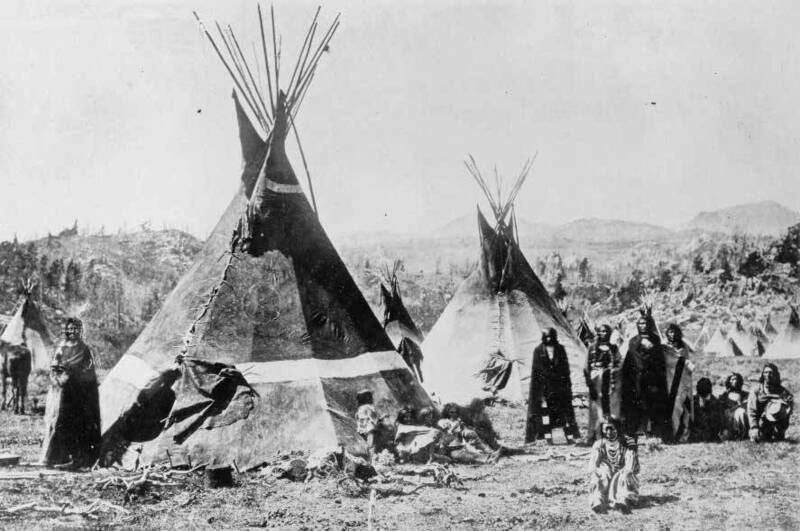 Another story claims that the white owner of a nearby grocery store who was a friend of the Shoshone got wind of the troop movements and attempted to warn the tribe, but Chief Sagwitch believed they could come to a peaceful settlement. Sadly, the chief was very wrong. On the morning of Jan. 29, 1863, Chief Sagwitch emerged into the sub-zero temperatures and noticed a strange fog gathering on the bluff above the river near present-day Preston, Idaho. As the fog began to move with unnatural speed towards the encampment, the chief realized it was no natural mist, but the breath of the American soldiers visible in the severe cold so bad that icicles formed on soldiers’ mustaches. The chief then shouted for his people to prepare themselves, but it was already too late. As the soldiers charged down into the ravine, they fired at every living person: men, women, and children, all slaughtered without mercy. Some Shoshone attempted to flee by jumping into the frigid river, which was soon brimming with “dead bodies and blood-red ice,” according to one village elder. United States Army records described the bloody day as the “Battle of Bear River.” The Shoshone remember it as the “Massacre of Boa Ogoi.” Most non-Shoshone today now know it as the Bear River Massacre. The Deadliest Native American Massacre In History? Today, historians estimate that the Bear River Massacre was the deadliest in the history of such events between Native Americans and the U.S. military. Given incomplete data regarding casualties, this horrifying distinction does remain up for debate, however. Nevertheless, casualty estimates for the Bear River Massacre range from 250 to more than 400 Shoshone (with around 24 Americans also killed). One Danish pioneer who stumbled upon the battleground claimed to have counted as many as 493 bodies. Even at the lower end of the spectrum, the dead at Bear River outnumber those estimated to have been killed during the likes of the Sand Creek Massacre (230 Cheyenne dead in 1864), Marias Massacre (173-217 Blackfeet in 1870), and even the Wounded Knee Massacre (150-300 Sioux in 1890). 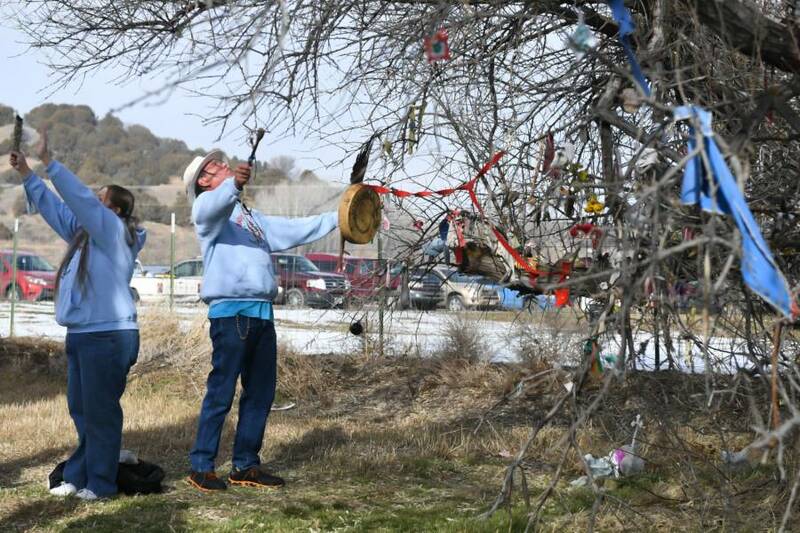 Spiritual leaders from the Northwestern Band of the Shoshone Nation offer a blessing on the site of the Bear River Massacre near Preston, Idaho. Although the number of people killed during the Bear River Massacre might just make it the deadliest Native American slaughter by American soldiers in U.S. history, it remains relatively little-known today. Historians speculate that part of the reason for this is that it occurred in the midst of the Civil War: Americans were less concerned with the distant west than the bloody battles between Union and Confederate troops in the east. In fact, at the time, only a few newspapers in Utah and California even reported on the massacre at all. The area was not declared a National Historic Landmark until 1990. In 2008, the Shoshone Nation purchased the land and today the Bear River Massacre is commemorated by a simple stone monument.